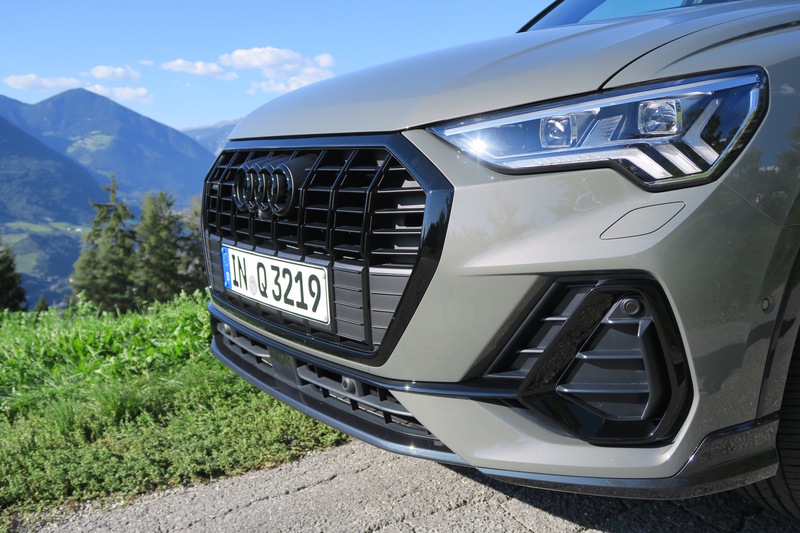 Hot on the heels of the 2016 Audi Q2 comes the vastly improved Audi Q3. The new car is bigger, with a new platform, exterior styling and an all new interior. The premium German brand has pulled out all the stops in an effort to claim top spot in its class when it arrives in Ireland in November. 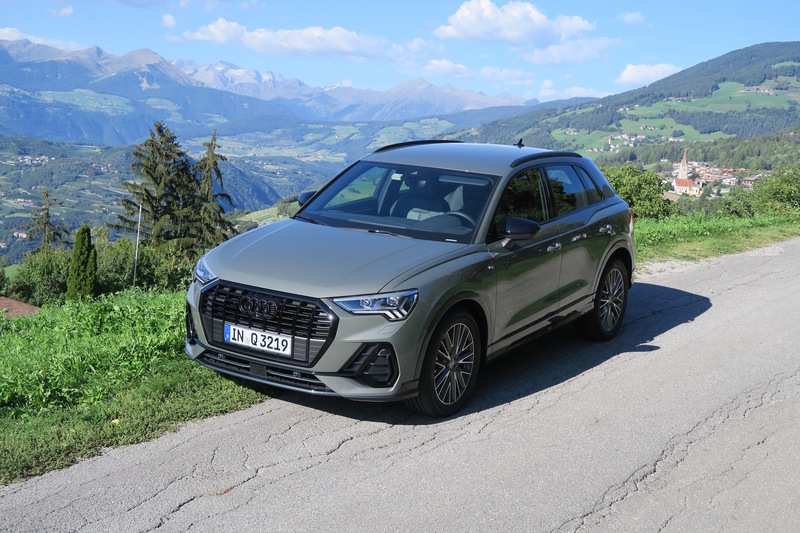 The competition is fierce with BMW leading the premium class with its X1 in terms of sales but there is a host of tasty newcomers like the Volvo XC40, Jaguar E Pace and Lexus UX in the mix, so can it do it? We went to Italy to test the car at its global launch to find out. 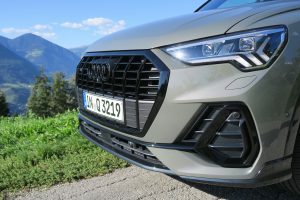 The Audi Q3 has sold over 1.1m examples since its launch. 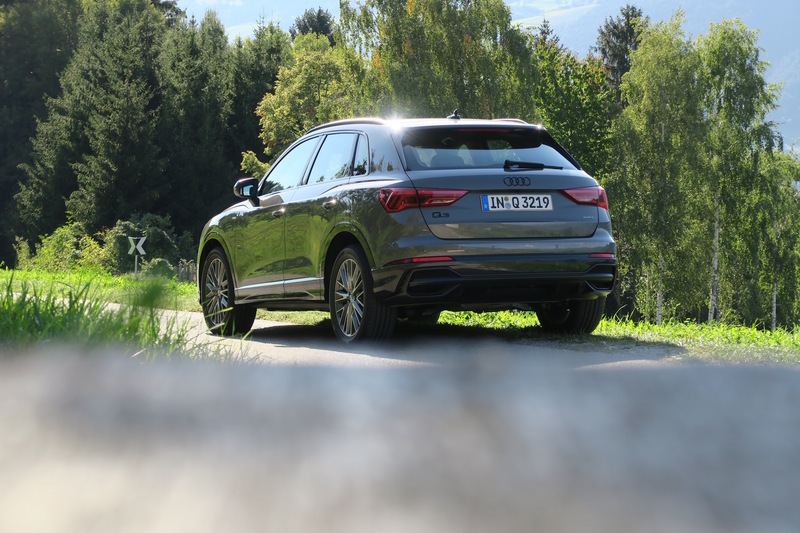 The second generation SUV is built on the same MQB platform and under-bits that Volkswagen uses with its Tiguan. Yes there are the usual tweaks and things done to ensure the sister car is more premium as god forbid anyone would mix up an Audi for a mere Volkswagen. So if the Audi Q3 is a premium offering why should people pay more for it over a VW, Skoda or any of the group’s SUVs. Pricing is still being set for Irish Q3s but expected to start in the high €30s. It’s an Audi all right. Outside the body is more aggressive with a nod to the rally Audi Quattro in the beautifully sculpted flared wheel arches. This is no accident as the same exterior designer who nailed the Q2’s body, had charge of the crayons with the new Q3. Funny enough he has an original Quattro in his garage too and is a bit of craic to chat with too. 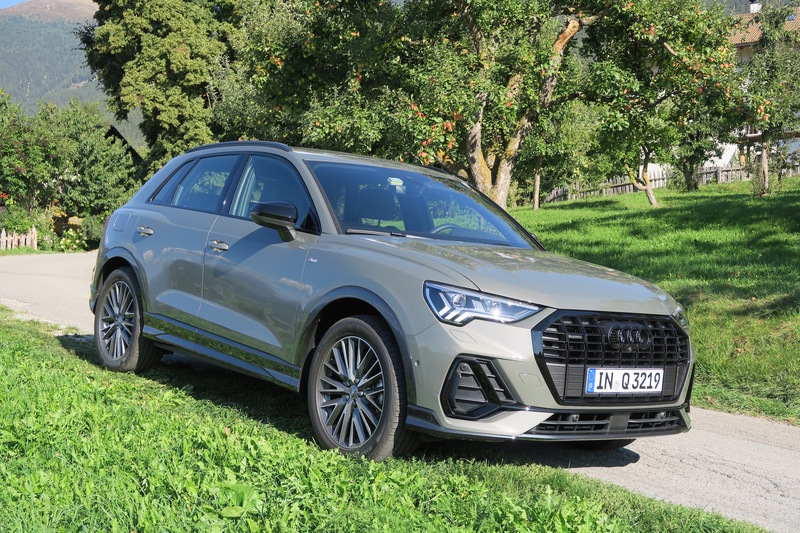 Dimensions of the Q3 have grown. The exterior is now substantial with a larger footprint than not only the BMW X1 but also the volume selling Hyundai Tucson and Nissan Qashqai. 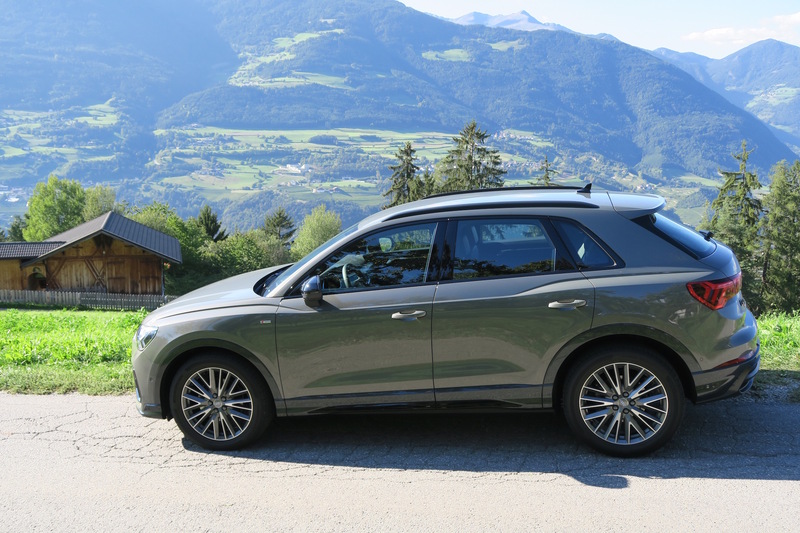 The five seat Q3’s wheelbase is 77mm longer than the car it replaces at 2.680mm and this gap between the front and rear wheels helps not only the ride quality but also frees up a lot of interior space. The cabin’s dash features styling directly from the A7 and A8 flagship models cookbook. The surfacing is integrated and class leading. All Q3 get a digital dash and on higher grades the screens are large and extra impressive. To add to the premium feeling there is a new interior light package with a choice of 30 ambient light colours available, even an Audi emblem on the passenger side of the dash lights up. The boot is bigger too and can be opened with an under bumper leg kick. The new platform and consequent electrical wiring allows the introduction of more advance electronic driving safety aids including a 360 surround view and auto parking. Front wheel drive only and Quattro permanent all wheel drive is available on higher powered models. From launch a four engine range will be available with three diesels and one petrol. 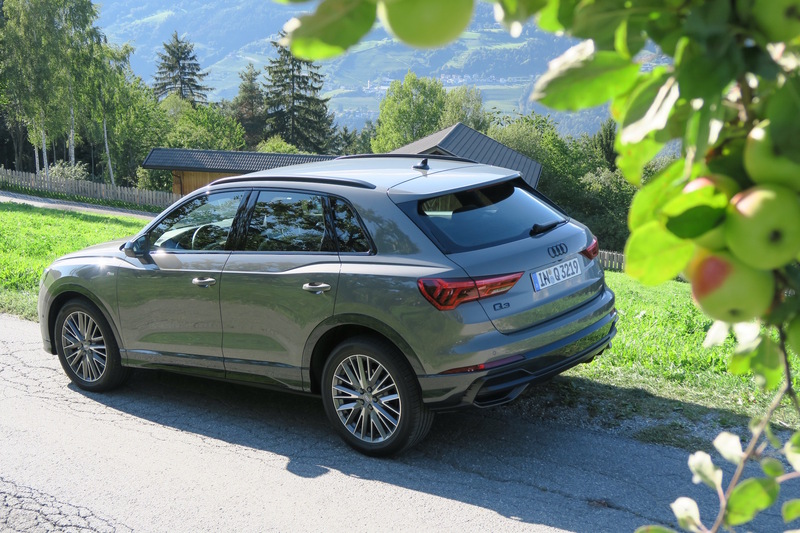 The entry TFSI petrol engine would be the ideal choice for town use and despite being a 1.5 litre is badged ‘35’ using Audi’s latest badge language, a more powerful 45 is available also in some other markets. Manual and automatic gearboxes feature but the auto is the best choice for a truer premium driving feeling. The new Audi Q3 is a really nice premium SUV. 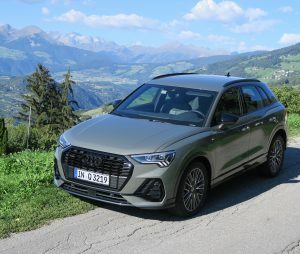 The ride quality is comfortable and Audi stresses that they wanted to keep the Q3 true to the chunky SUV form and not make it a crossover. Our first drive impressions are very good. It is safe to say that behind the wheel of the new Q3 you will feel pretty content.